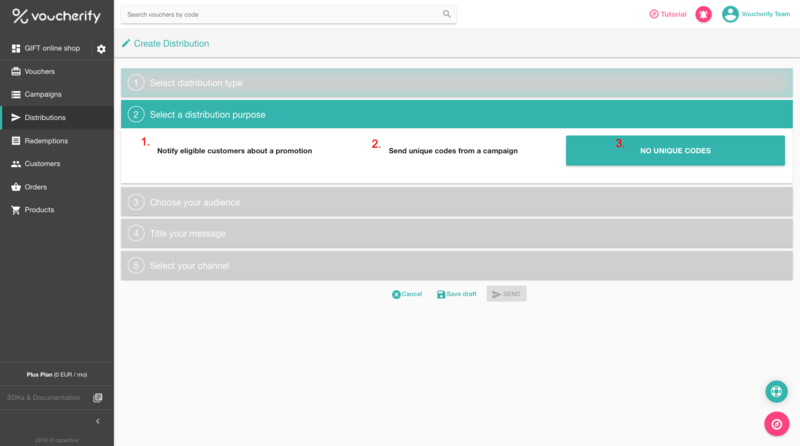 With the Distribution Manager, you can create a cross-channel experience by sending personalized messages with promo codes, or information about promotions. 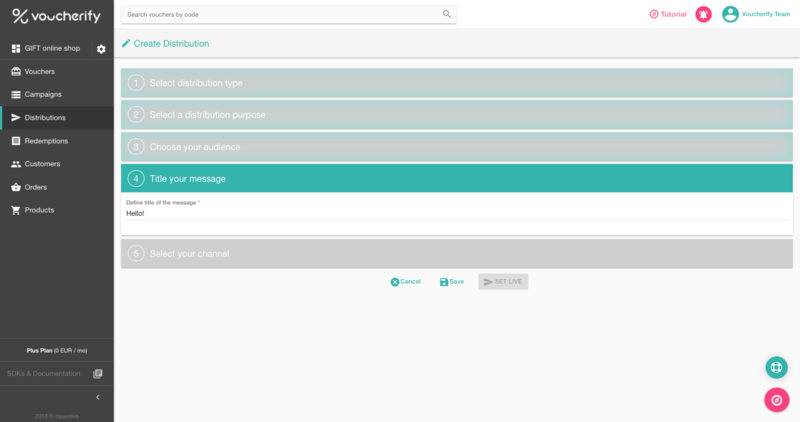 By couple clicks, you can set multi-channel distributions, managed straight from the dashboard. Let's go through five stages of the manager to familiarize with a distribution set up. an automatic mode activates the following scenario: every time a customer joins a chosen segment, the manager triggers a message send out. 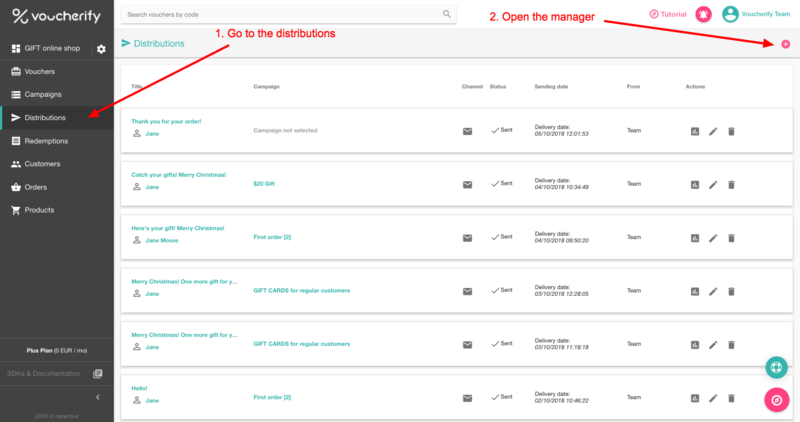 In the automatic mode, messages are sent every time new customer meets specific criteria defined in the Distribution Manager by using customer segments. The 3rd stage of the manager defines receivers. 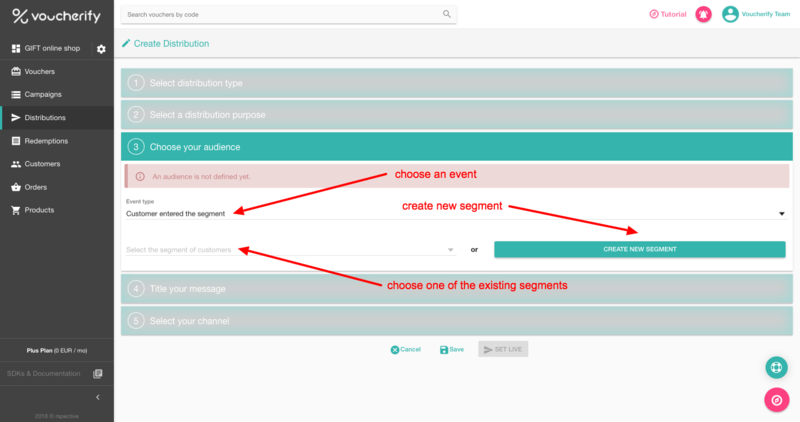 customer segments - you can choose one of your existing segments or add a new one. Segments are built with filters which are precisely described here. The app will push out a message every time a new customer meets criteria and enters a chosen segment. Each time your system integrated with Voucherify notes a particular event assigned to a customer, the app will push out a message. A voucher has been published. The last event is made for cases when you'd like to trigger a distribution based on a voucher publication. 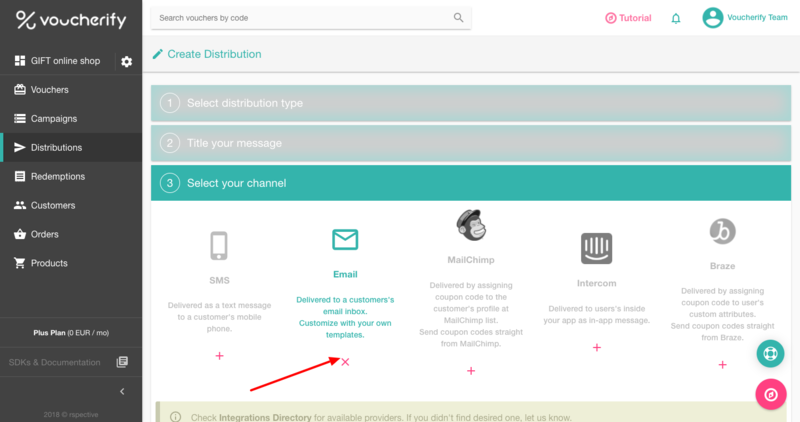 When a voucher has been published to the customer (if you assign a code to a particular user) the app will automatically deliver it in a message defined in the distribution manager. 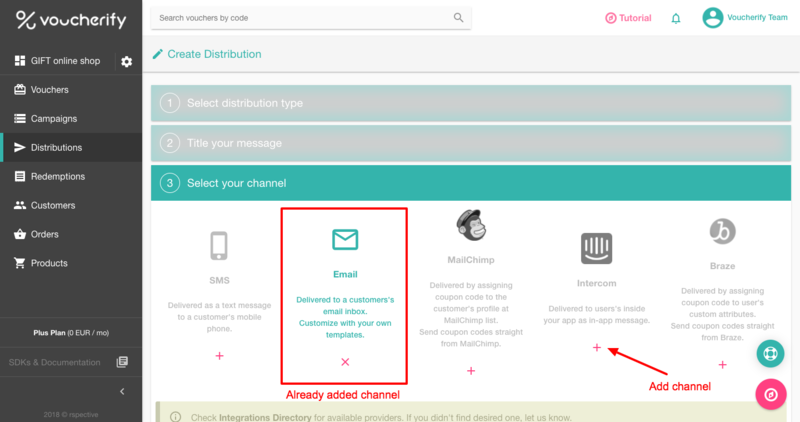 In case of a manual message, you can choose receiver from your list or create a distribution to customers from a particular segment. Likewise, the segment can be chosen from the existing ones or created from scratch. In manual distribution, this stage comes down to choosing a single customer or a segment of customers to which you'd like to deliver a message. In the 4th stage, add a subject line for your message/messages. 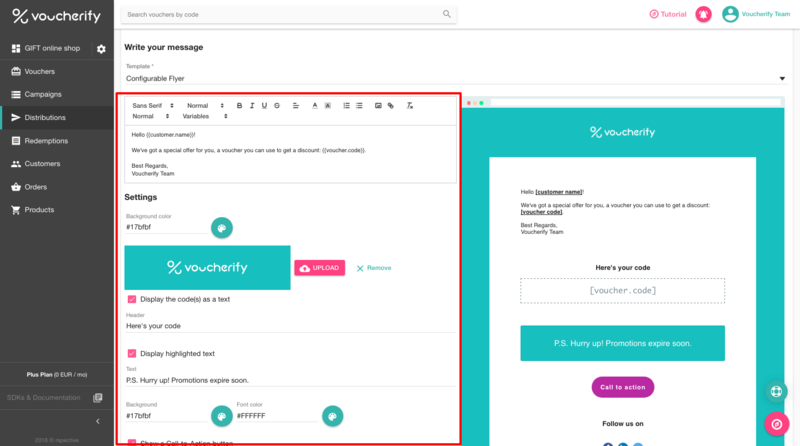 With Voucherify integration you can connect your mailbox to Voucherify and use it to distribute emails. 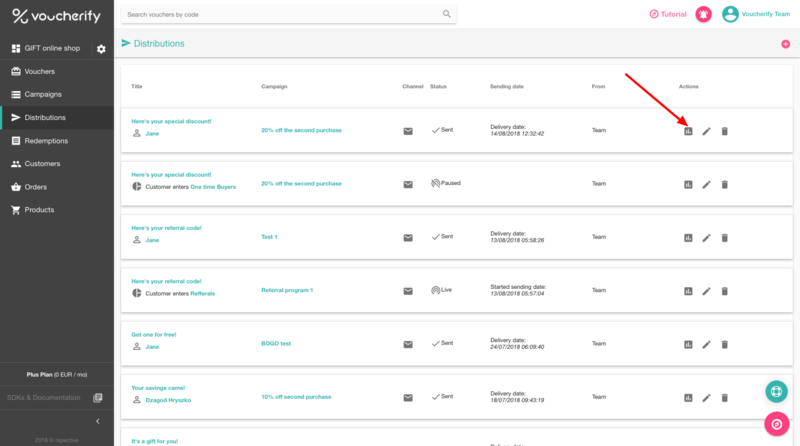 To get access to the feature, you need to be a paying user and send a request to our support team. Then you can easily add your mailbox by choosing a respective integration in project settings and typing the email address. 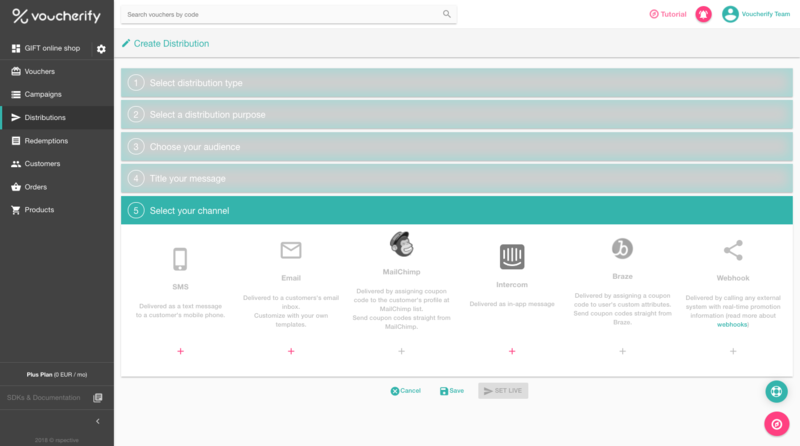 After choosing a distribution channel/channels, you can design your message. Below the channels list, you'll find the text editor and a default message template which is fully customizable. 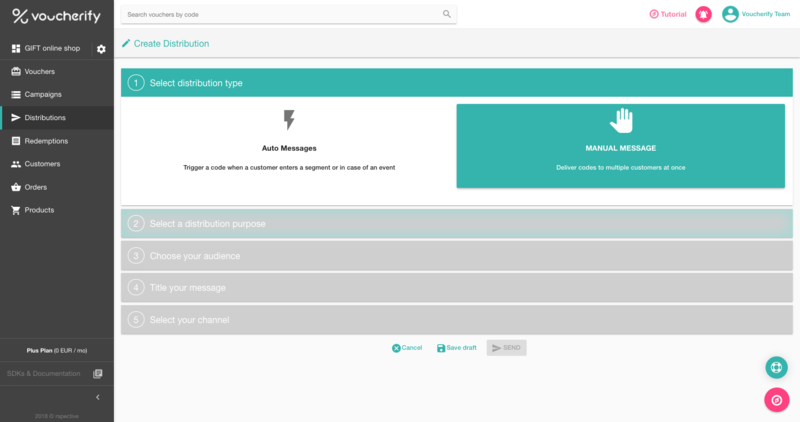 On the left-hand side, you can customize each message section. The preview of the current design is visible on the right side. 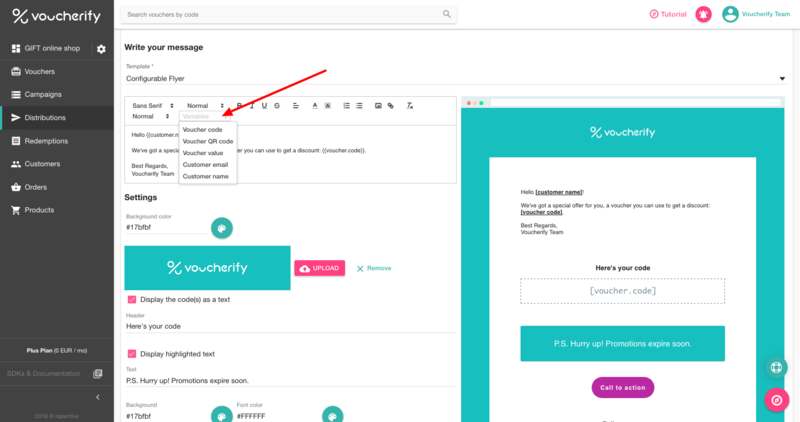 By using 'Variables' you can personalize your messages. 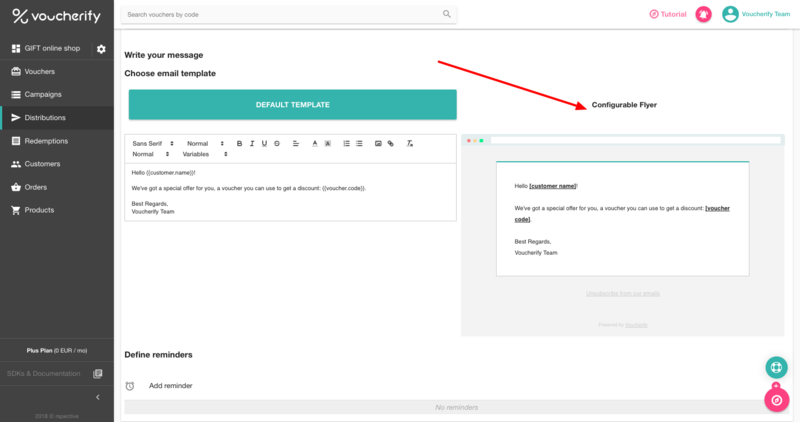 When the template is ready, you can confirm distribution using SEND (manual mode) or SET LIVE (automatic mode). 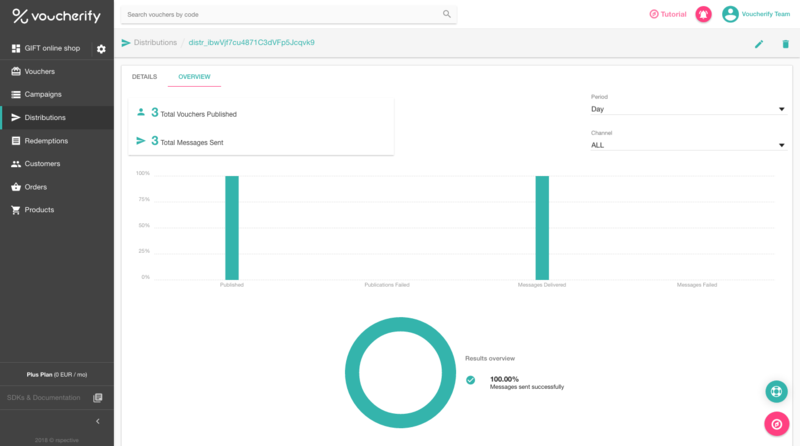 Lastly, when your distribution is live, performance metrics are updated in real-time and presented in the Distributions view. Now you can go to one of the tutorials below to send out the first batch of coupons.